Black Culture Awareness Week (BCAW) originated in 1992, when Columbia’s Mayor issued a proclamation designating the third week in November as Black Culture Awareness Week. The week’s events provide Mizzou students and the Columbia community insight on Black culture and history through a variety of programmatic efforts. Please see below for a list of this years events. For more information contact the GOBCC at 573.882.2664. Download flyer here. Alpha Phi Alpha Fraternity, Inc. and the GOBCC invite you for a Sunday of fellowship. There will be shuttles leaving from the GOBCC parking lot at 10:30am to Second Missionary Baptist Church for the 11am service. The annual Soul Food dinner will take place at 3pm in the GOBCC. Co-sponsored by: Alpha Phi Alpha Fraternity, Inc.
For people with life-threatening cancers like leukemia and lymphoma, bone marrow transplants can be a life-saving experience. Come learn about the Bone Marrow Registry and why it’s important to increase the number of minorities registered in the registry. Joining the registry takes 15 minutes. After a check against health guidelines and then a quick cotton swab insides one’s cheek, those who attend the drive will be added to the registry, and could possibly save a life. Be The Match registry professionals will be on hand to answer questions and guide interested students through the registry process. Cosponsored by: the Multicultural Center and the Be The Match registry. There is a long history of public health concerns related to tobacco use and second-hand smoke. This program will address the methods used by the tobacco industry to target minority populations and specifically the African American population. This will be an interactive, informative and solution focused program emphasizing one of America’s largest and most dangerous products and the specific tactics used to recruit customers. Sponsored by the Gaines/Oldham Black Culture Center, Wellness Resource Center, & Delta Sigma Theta Sorority, Inc. Play the Part is a staple event, featured during our annual Black Culture Awareness Week. This year’s theme is the “Grammy’s Edition” in which participants will portray Grammy nominated artist from the past and present. Come out and support your fellow Tigers! 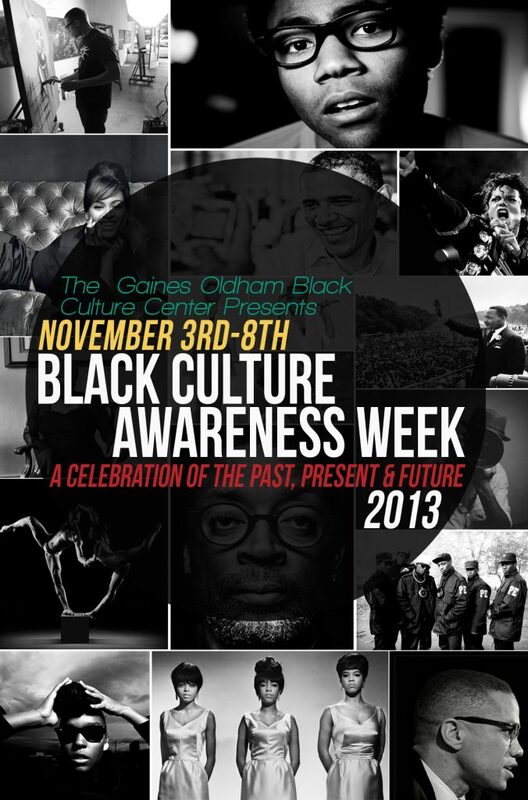 Sponsored by the Gaines/Oldham Black Culture Center. Be sure to join us in The Shack for the first Life Music Series event of the year. This event will feature live music from Mizzou Alum, Souls of Liberty, as well as several talented Columbia and Mizzou artists including Landalin, Shea and RVS. There also be a performance by the Hip-Hop Cypher Tour. Doors open at 6:30pm and the show starts at 7:00pm. This event is FREE and open to the public. Cosponsored by: Missouri Student Unions.